"When maple leaves defied the year's old age by dressing up in glorious crimson gowns..." Maine Coast, Wilbert "Bill" Snow. Fig. 1. “Fatal Fun” courtesy of CBC News. 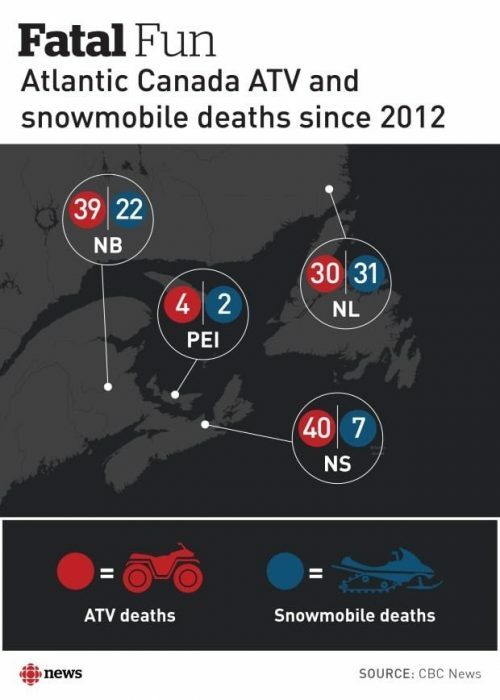 Snowmobile and ATV-related injuries and fatalities are high across Atlantic Canada, particularly Newfoundland. Injuries are attributable to: impact trauma, avalanches, and hypothermia exposure. Operating at unsafe speeds, alcohol, and not wearing a helmet were cited as contributing factors . See Figure 1 from the cited CBC News article. The paper proposes inclusion of a Personal Location Beacon (PLB) with purchase of snowmobiles and ATVs, beginning with sales in Newfoundland, and if successful in reducing number of deaths, including all of Atlantic Canada. PLBs would be of potential benefit to operators who become stranded and/or injured because of accident, adverse weather conditions, and/or machine breakdowns. Note: Recommending a type of PLB, not specific make or model. The proposed PLB type would be a non-subscription device that alerts monitoring stations using 406 MHz satellites for GPS location, and also includes a terrestrial location beacon transmitting 121.5 MHz or so-called “guard” air-band channel. One example of the PLB described is ACR Electronics ResQLink+ Buoyant PLB. 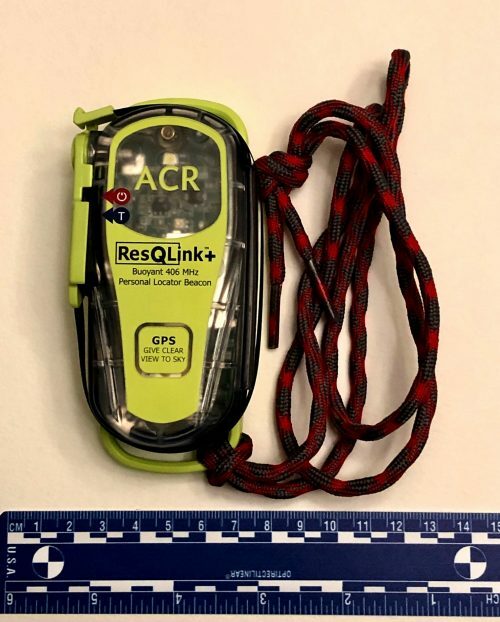 These PLB require registration with Canadian Beacon Registry (equal to that of vehicle) to include the owner’s name, address, emergency contact information, and an unique PLB serial number, identifying the device to a specific person. (For this reason, loaning them is not recommended.) No subscription or user fees are associated with these beacons. The concept of this proposal is that PLBs as described (cost ~$360 CDN) would be included with the purchase of snowmobiles or ATVs in Newfoundland. Simply put, if you buy either recreational machines in Newfoundland, it comes with a PLB. Powered by Franktronics, Inc Oceanic Visions "When maple leaves defied the year's old age by dressing up in glorious crimson gowns..." Maine Coast, Wilbert "Bill" Snow.